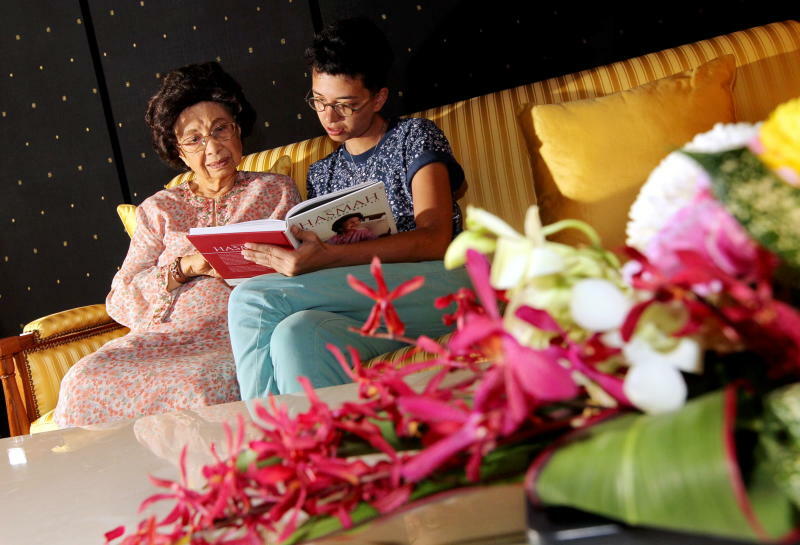 Tun Siti Hasmah was a 15-year-old schoolgirl when World War II broke out in Malaya. Her first clue that something was wrong came was when her father picked her up from school, instead of relying on her to take the bus usual. “In the car he told us the Japanese had bombed Singapore, Penang and that the Japanese had landed in Kelantan. We cried, because my elder brother Aziz was studying in Singapore,” she said. Fortunately her brother survived, although one of his Malaysian classmates who lived near their house was a victim of the bombings in Bukit Timah. However, despite the dark days of the Occupation, young Siti Hasmah still managed to find glimmers of humanity shining through in those dark times. Music, for instance, was a brief respite from the horrors surrounding them. “They played latin american music. My mother used to take us there and everyone loved it, ” she reminisced. She was relatively lucky. Despite the reported brutality displayed by the Japanese military, Japanese civilians and workers turned out to be more sympathetic towards the Malayan people. Siti Hasmah and her family managed to find some friends among them, so much so that after [the Emperor] formally surrendered in 1945, they came to her house to say goodbye. Her granddaughter, filmmaker Ineza Roussille, 29, said that while she’d heard many stories about the cruelty during the Occupation, her grandmother’s story showed a different side to the Japanese invaders, and it gave the war a new sense of proximity to her. “I used to think of war as a foreign conflict, but hearing her talk about having to hide and duck for cover from shootings really brings home the point the conflict affected us too,” said Roussille.